Specifications: Compressor Inducer - 60 mm /Trim: 48, Compressor Exducer - 87 mm, Turbine Inducer - 68 mm, Turbine Exducer - 58 mm, Turbine Housing: 12 CM2. 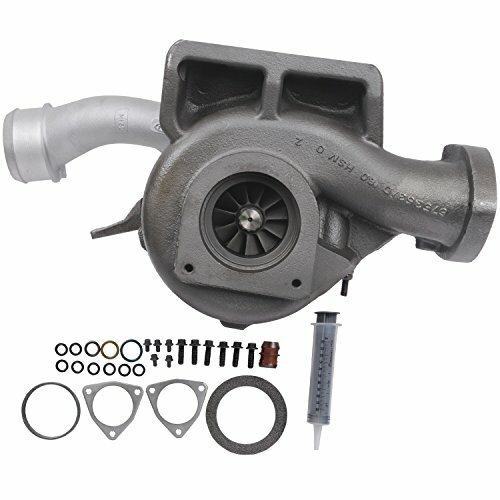 Direct Replacement: This turbo can be installed on 2003-2007 model years as a direct, bolt-on replacement. All connections to the vehicle are compatible with the OE geometry, resulting in a quick and reliable connection. Compressor: The housing utilizes OE inlet and outlet. A wastegate actuator is mounted to the integrated cast bracket and comes preset to factory setting. 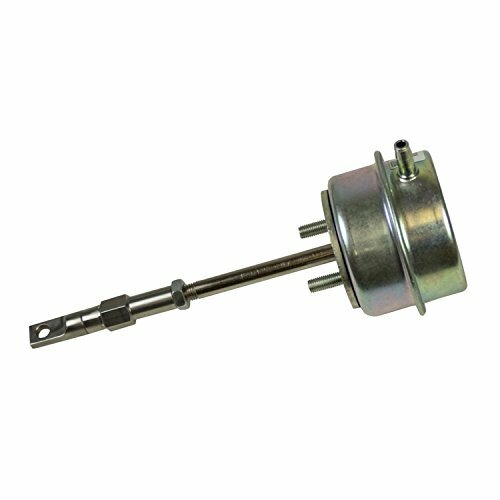 EAS Turbo Timer is designed to keep your diesel engine running for a pre-specified period of time or until a specific temperature is reached in order to automatically execute the cool-down period required to prevent premature turbo wear and failure. 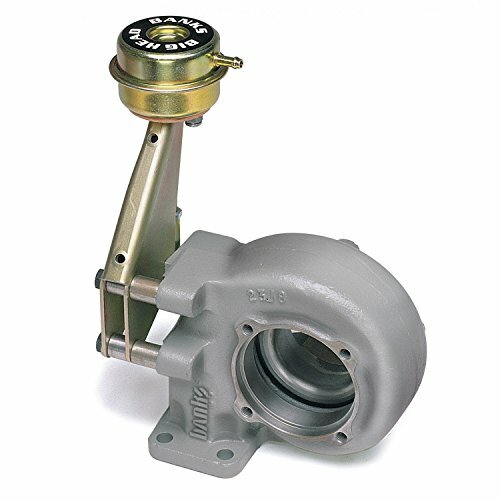 Hassle-Free Installation; The replacement turbine elbow mounts directly to the stock or aFe's upgraded turbo (P/N: 46-60060) for a hassle-free installation. 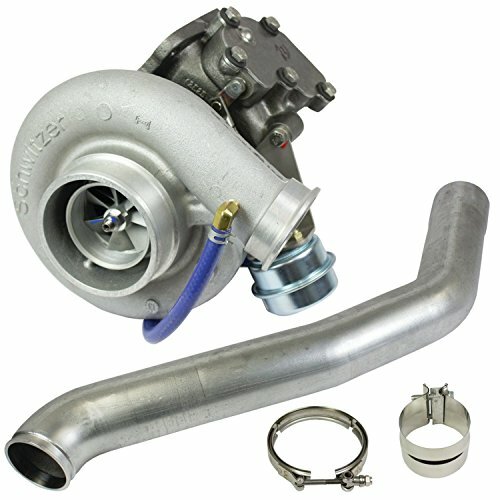 BD Diesel Performance Super B Special Turbo Kits include an adjustable waste gate, all necessary adapters, down pipes, spring-loaded T-bar clamps and turbo feed or drain fittings. These kits are designed to provide excellent air flow and facilitate hassle-free towing. They feature Extended Tip compressor wheel technology which ensures improved turbine response and are backed by a one year warranty. BDs adjustable Waste Gate Kits keep the bypass valve closed, raising boost levels for increasedperformance and helping to prevent waste gate creep. These kits include a high temperature resistant Nomex diaphragm with a heavier spring and locking jam nut for precise boost pressure settings. Specifications: Compressor Inducer - 60.6mm, Compressor Exducer - 81.9mm, Compressor Blades 10, Turbine Inducer - 67.8mm, Turbine Exducer - 62.0mm, Turbine Blades 11. Compressor: The A356 aluminum housing utilizes OE inlet and outlet connections. Turbine: The one-piece ductile iron turbine housing will bolt to OE and aftermarket inlet and outlet connections. 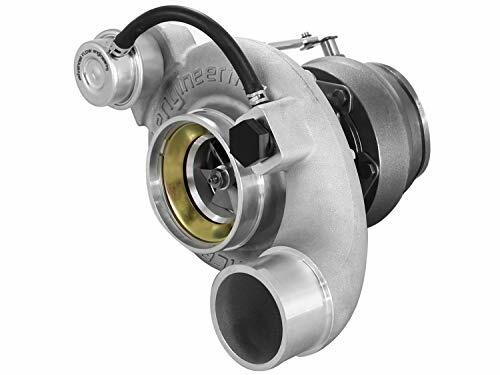 Direct Replacement: This turbo can be installed on 2001-2004 V8-6.6L (td) LB7 and is a direct bolt-on replacement. All connections to the vehicle are compatible with the OE geometry, resulting in a quick and reliable connection. Additional fueling is not required for improved performance over OE, but maximum gains are achieved with fuel system upgrades. 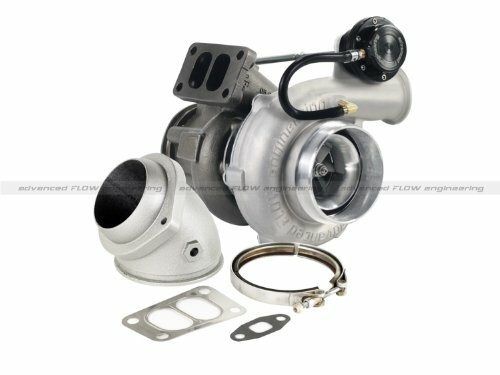 This all new aFe BladeRunner turbocharger produces an incredible 104 horsepower and 206 pounds x feet torque over the standard Cummins turbocharger while lowering exhaust gas temperatures (E.G.T). 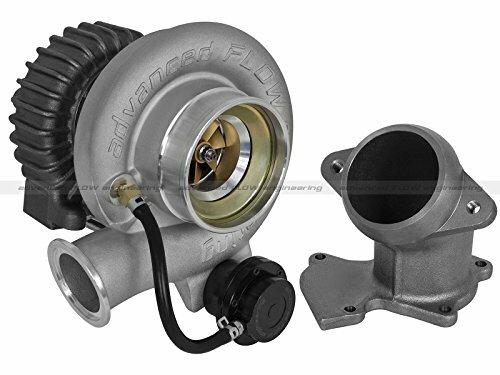 The BladeRunner turbocharger is constructed of high quality A356 cast. Our E-Force Supercharger systems will take your Corvette to the next performance level. Each System utilizes a unique intake manifold housing design that is tailored towards each platform. Plus, this kit fits under the stock hood with no modifications without sacrificing runner length or intercooler area. Our C6 Z06 systems are specially designed for a seamless integration with the dry sump system. Our new E-Force for the C7 Z06 is designed exclusively for the LT4 engine. The system includes a new intake manifold with Eaton 2300 TVS rotor assembly, making it an easy direct plug and play installation. The Stage 1 system utilizes the OEM belt offset and includes the intake manifold and tune for an easy swap. The Stage 2 system includes an intake manifold, pulley, belt and tune for the next step up for your Z06. * ALL 2017-Later Chevy Corvette Supercharger Systems WILL REQUIRE the ECM to be sent in for modification... NO HANDHELD PROGRAMMER INCLUDED. This is an 8-10 day process/waiting period from the time they are received! * System #1590 and #1591 can be installed on dry sump equipped Grand Sport models. This installation will require the use of Edelbrock Dry Sump Accessory Kit #15905 (sold separately). System #1574, #1575 and #1576 are for use on 2010-13 Corvette Grand Sport models equipped with a dry sump oil system. System #1591 can not be installed on Z06 or ZR1 models. Supercharger systems without tunes are not eligible for our Limited Powertrain Warranty. Supercharger systems sold without tunes are only emissions legal when used with the correct Edelbrock tune, which can be downloaded on the supercharger tech support. E-Force Supercharger systems are designed to boost your performance to 554 flywheel horsepower and 515 ft./lbs. of torque (with stock fuel pump) or 599 flywheel horsepower and 547 ft./lbs. of torque (includes high volume fuel pump). A unique feature of this system is the 12in. long intake runners that allow for maximum low end torque. An optional Edelbrock supplemental warranty, 3 years or 36,000 miles for 2005-06 models and 5 year or 100,000 miles for 2007-later models is designed to give you peace of mind when installing it on a brand new car. Plus, this kit fits under the stock hood with no modifications without sacrificing runner length or intercooler area. 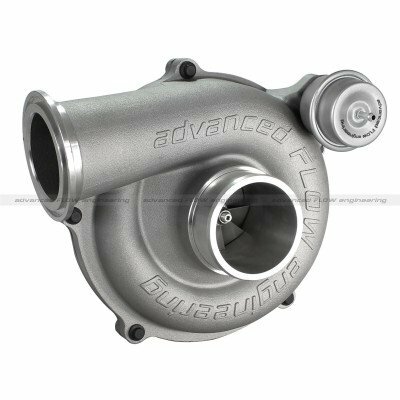 A true direct replacement turbo, this aFe BladeRunner turbocharger supports up to 500HP while lowering Exhaust Gas Temperatures (EGT). Turbine: high silicone ductile iron casting with internal wastegate. 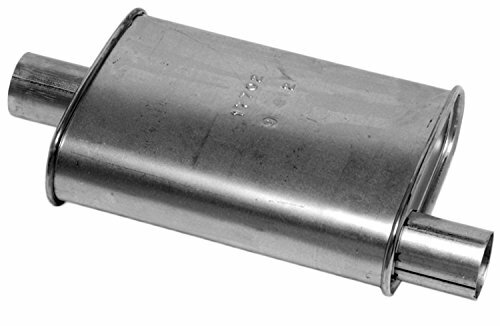 To lower Exhaust Gas Temperatures (EGT's), the turbine outlet is 4.0 inch compared to the OE 3.0 inch outlet. The CNC machined wastegate actuator is set to 40 PSI. The inducer and exducer measure 74 millimeter and 64 millimeter respectively. Compressor: the housing is cast from A356 T6 aluminum and incorporates a ported shroud to eliminate turbo bark and compressor surge. The wastegate actuator mounts to a bracket cast into the housing. The inducer and exducer measure 58 millimeter and 76 millimeter respectively. 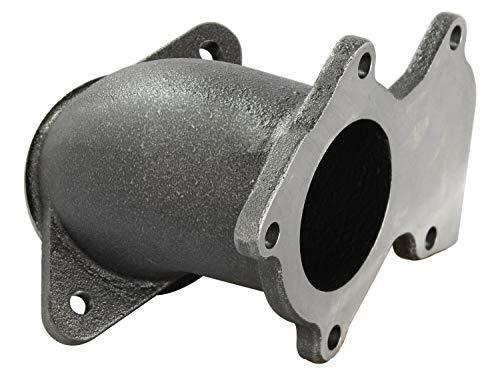 Direct replacement: a cast ductile iron turbine outlet allows this turbo to fit both the 12 Volt and early 24 Volt engines with no modifications. The turbine outlet is machined to accept an EGT thermocouple to monitor temperatures. All necessary gaskets and clamps are included for a trouble free installation. Note: this is a "Race Only" product used solely for competition. It's use is limited to closed course and open course racing that is formally sanctioned by a recognized racing organization. Any other use including recreational off-road use, could be in violation of local, state and federal laws. Specifications: Compressor Inducer - 66 mm, Compressor Exducer - 88 mm/ Trim 56, Turbine Inducer - 76 mm, Turbine Exducer - 67 mm/ Trim 78, Exhaust A/R - 1.0. 4" Anti-Surge Chamber w/ High-Temp 5-Ply Silicone torque booster tube: This turbo has an oversized 4" inlet featuring a ported shroud compressor housing which helps to reduce turbo bark . A 5-PLY reinforced high temperature silicone torque booster tube is included for a hassle-free installation. 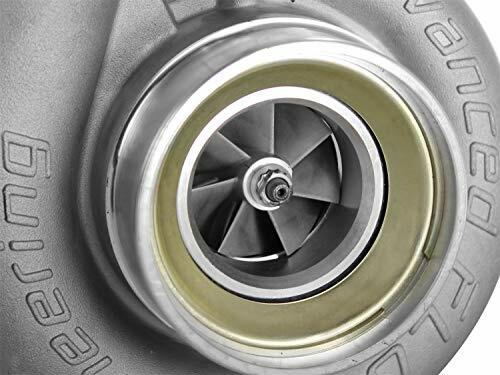 Billet Wheel: The compressor features a gold anodized 6/12 bladed billet aluminum compressor wheel that is lighter and stronger than the stock cast wheel to help provide quicker spool-up and higher air flow than the stock turbo. 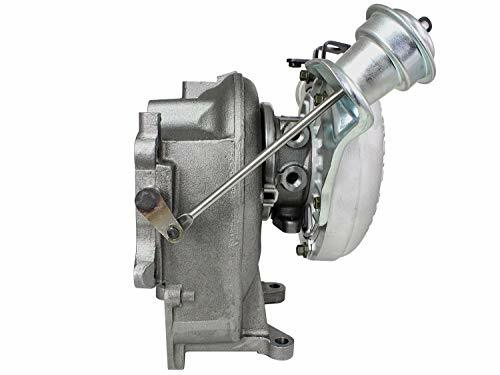 Compressor: The compressor features a light-weight billet aluminum compressor wheel with a 66mm inducer and 88mm exducer to improve turbo spool-up, handle high wheel speeds, and boost pressures. Also included is a CNC-machined, black anodized billet adjustable aluminum wastegate actuator. 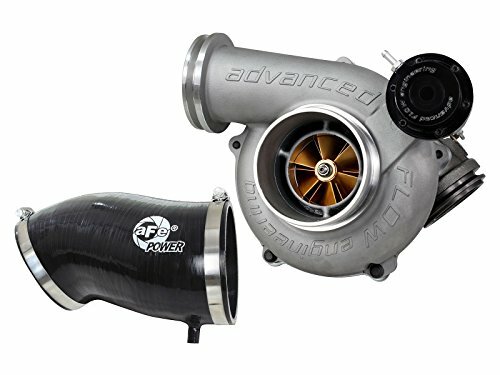 1.0 A/R Turbine Housing: The larger 1.0 A/R housing vs. Stock .84 A/R results in lower EGT s. Direct Replacement: This turbo can be installed on 1999.5-2003 model years as a direct bolt-on replacement. All connections to the vehicle are compatible with the OE geometry, resulting in a quick and reliable connection. Maximum gains are achieved from fuel system upgrades, either electronic or mechanical. This is a Race Only product used solely for competition. Its use is limited to closed-course and open-course racing that is formally sanctioned by a recognized racing organization. Any other use including recreational off-road use could be in violation of local, state and federal laws. Maximizes Turbo Diesel Efficiency. Improves Midrange Torque. Improves Boost Response. A1 Cardone Remanufactured Turbochargers are available for a vast array of applications and are direct bolt-ons for each application. Every unit is individually quality tested and inspected on all subcomponent levels, including compressor and turbine wheels, shaft balancing, CHRA clearances, and waste gate actuators, to ensure OEM performance and reliability. This allows seamless operation and improved engine efficiency throughout the power band. Specifications: Compressor Inducer - 54 mm, Compressor Exducer - 76 mm/Trim: 50, Turbine Inducer - 65 mm, Turbine Exducer - 58/Trim: 80 mm, Turbine Housing: 12 cm2. Direct Replacement: This turbo & manifold kit can be installed on 1994-1998 model years as a direct, bolt-on replacement. All connections to the vehicle are compatible with the OE geometry, resulting in a quick and reliable connection. Compressor: The housing utilizes OE inlet and outlet. A waste gate actuator is mounted to the integrated cast bracket and comes preset to factory setting. One-Piece Construction: This manifold is constructed of durable cast ductile iron with a reinforcing rib for maximum strength between the wall flanges at the ports. 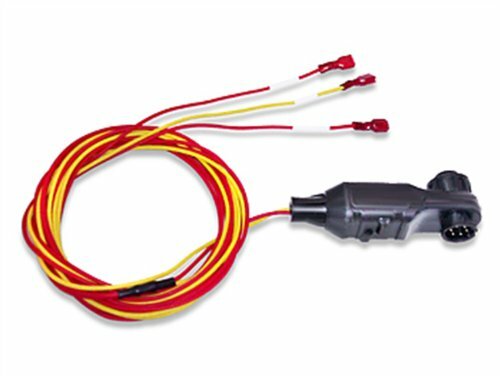 Dual Auxiliary Ports: Two Exhaust Gas Temperature (EGT) probe ports are supplied for easy installation of gauges or testing equipment. Hassle-Free Installation: Hardware and gaskets are included for a hassle-free installation. Specifications: Compressor Inducer - 54 mm, Compressor Exducer - 76 mm/Trim: 50, Turbine Inducer - 65 mm, Turbine Exducer - 58/Trim: 80 mm, Turbine Housing: 12 cm2. Direct Replacement: This turbo manifold kit can be installed on 1998.5-2002 model years as a direct, bolt-on replacement. All connections to the vehicle are compatible with the OE geometry, resulting in a quick and reliable connection. Compressor: The housing utilizes OE inlet and outlet. A waste gate actuator is mounted to the integrated cast bracket and comes preset to factory setting. One-Piece Construction: This manifold is constructed of durable cast ductile iron with a reinforcing rib for maximum strength between the wall flanges at the ports. Dual Auxiliary Ports: Two Exhaust Gas Temperature (EGT) probe ports are supplied for easy installation of gauges or testing equipment. Hassle-Free Installation: Hardware and gaskets are included for a hassle-free installation. Specifications: Compressor Inducer - 56mm, Compressor Exducer - 81mm/Trim 48, Turbine Inducer - 70mm, Turbine Exducer - 60mm/Trim 73, Exhaust Turbine Housing - 12 cm2. 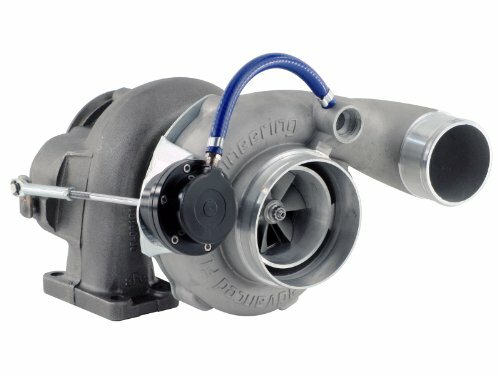 4" Anti-Surge Chamber: This turbo has a 4" inlet featuring a ported shroud compressor housing which helps to reduce "turbo bark". Billet Wheel: The compressor features a gold anodized 8/16 bladed billet aluminum compressor wheel that is lighter and stronger than the stock cast wheel to help provide quicker "spool-up" and higher air flow than the stock turbo. 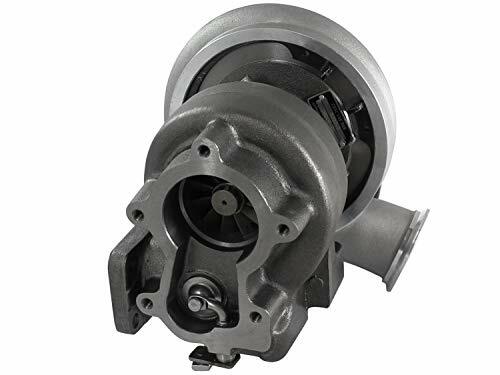 Compressor: The compressor features a light-weight billet aluminum compressor wheel with a 56mm inducer and 81mm exducer to improve turbo spool-up, handle high wheel speeds, and boost pressures. Also included is a CNC-machined, black anodized billet adjustable aluminum wastegate actuator. 12 cm2 Turbine Housing: The 12 cm2 finned turbine housing allows lower EGT's and the ability to increase horsepower and torque. Direct Replacement: This turbo can be installed on 1998.5-2002 model years as a direct bolt-on replacement. All connections to the vehicle are compatible with the OE geometry, resulting in a quick and reliable connection. Maximum gains are achieved from fuel system upgrades, either electronic or mechanical.